It’s a good time to be a game show fan. This week, Disney/ABC renewed the TV series Who Wants to Be a Millionaire and RightThisMinute. Both syndicated shows have been renewed for the 2017-2018 season. Currently, Millionaire is in its 15th season overall and second with host Chris Harrison, who took over in 2015. RightThisMinute, which highlights popular viral videos, premiered in 2011. The iconic game show “Who Wants To Be A Millionaire” and viral videos show “RightThisMinute” have been renewed for 2017-2018 on the ABC Owned Stations that currently carry the programs. It was announced today by Disney|ABC Home Entertainment and Television Distribution. 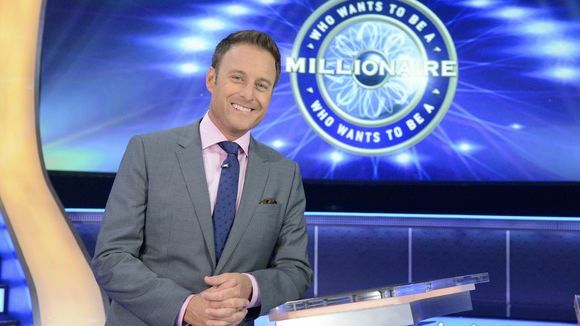 Hosted by Chris Harrison and currently in its 15th season in national syndication, “Millionaire” continues to be the only game show that offers a $1 million prize to each and every contestant. Since the show debuted in syndication in 2002, contestants have won nearly $95 million. “RightThisMinute” showcases viral videos and the stories behind today’s hottest clips being shared around the world. Every day, the show’s team of e-journalists scours the internet to curate videos everyone will be talking about, bringing the best digital content to broadcast TV. The 2017-2018 season will mark its seventh year on the air and fifth in national syndication. This season, “Who Wants To Be A Millionaire” and “RightThisMinute” are showing double-digit year-to-year growth in Households, Adults 25-54 and Women 25-54 – the highest year-to-year growth of any first-run, half-hour strip in national syndication. Emmy-nominated “Millionaire” airs across the country weekdays in national syndication. It is taped in front of a live studio audience at Bally’s Las Vegas. “Millionaire” is produced by Valleycrest Productions Ltd. and is distributed by Disney/ABC Home Entertainment and Television Distribution. James Rowley serves as executive producer. What do you think? Do you watch either Who Wants to Be a Millionaire or RightThisMinute? Are you glad they’ve been renewed?